Determine what target audience or best customers your business will serve. One of the most important issues to address in your business life is identifying your target audience and ideal customer. Without honing in on a specific target audience, you run the risk of missing the mark. There are several easy steps to identify your target audience and ideal customer. One of the best ways to identify your target audience is by setting goals for your business. Once you have set identifiable goals, your ideal customer will present him or herself. Keeping true to those goals will ensure that your target audience and ideal customer will return time and again. Once you have established what your goals are, it is important to revisit those goals and measure them on a regular basis. Social media provides a great way for you to measure your goals to see if they are up-to-date. Have your customers or clients take a survey or enter a contest to see whether or not your company is meeting and exceeding their needs. Make sure to communicate with customers on social media. Respond to their comments, and communicate via Twitter. See what the competition is doing and what trends are trending. Follow those trends. Once you have set your goals and have established ways to measure those goals, make certain that you stick within your niche. Often times, business owners tend to waiver outside their niche. Sometimes creative ideas just seem to flow and flow; however, you must be true to your niche at all times. 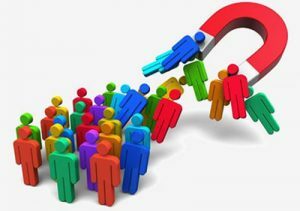 This is how you will be able to identify your target audience and your ideal customer. Once you have created a niche, see if you can break it down further and create a sub-niche. A niche would be something like divorced women and a sub-niche would be divorced women with small children. Perhaps your business is a life coaching business that empowers divorced women with smaller children to educate themselves so that they can provide for themselves and their families. Once you start your new business, you will begin to notice who is responding and who is not responding. In this way, you can measure your target audience a little better and hone in on your ideal customer. For example, you may notice that divorced women with older children may be in a better position to use your products and services as compared to divorced women with younger children. Your target audience may present itself a little bit differently than you had planned. Stay flexible, keep an open mind, but once you have established your ideal customer, make certain to keep it there and dedicate all your time and effort to that target audience and its ideal customer. Before you actually start your business, it’s important to know where you want it to go. Once you start, you will join the ranks of hundreds of thousands of starry-eyed individuals with similar hopes of making it big. 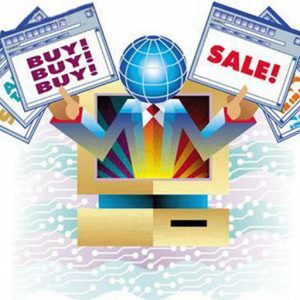 There are many tasks to achieve when it comes to your online business. You will be bombarded with information about how to proceed. 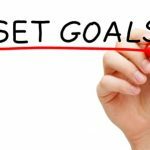 So it is vital to set clear goals before you start to help you keep your business on track. Many individuals start with goals that are so broad that success never happens. Take the time upfront to set your goals properly to increase your chances of success. 1. Be specific – When you set a goal, it is imperative that you be specific about that goal. 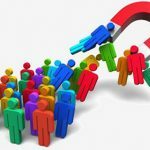 Simply stating that you want to reach a certain target audience or to make money is not a specific goal. 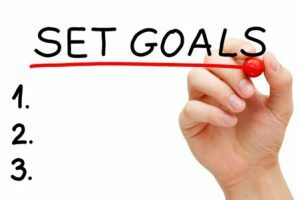 A specific goal would be something like “I want to gain 100 more likes on Facebook in the next three months.” Or, “I want to make an additional $5,000.00 in the next three months.” Goals need to be specific in order to be successful. 2. Write everything down – No matter how trivial you may think it may sound, it is imperative to write everything down on your action plan. Without writing it down, it is as though you are not declaring it to the world. 3. Break it down – Break down your goals into sub-goals. It is as though you are choosing a niche and then choosing a sub-niche. For example, if your niche is women over forty, perhaps you could break that down even further to make it divorced women over forty. Break it down and be specific. Breaking down your goals makes them easier to reach. If you have a goal to gain three more clients in the next six months, break it down on how you plan to reach that goal. For example, “I will guest blog on other sites” or “I will join LinkedIn and promote my business.” However, you want to do it, make sure to break it down specifically. 4. Put a timeline to your goal – Giving yourself a deadline to achieve a goal is probably the best thing you can ever do for yourself. You are accountable to yourself and your business partners by attaching a timeline to your goals. By doing this, you put a little pressure on yourself to achieve that goal by or before the set time. 5. Be accountable – Being accountable to yourself and to someone in your new business is an excellent way to make, keep, and achieve goals. Giving your word is a powerful tool in not only reaching, but also in exceeding clear and specific goals. Taking the time to develop clear goals for your business will definitely improve your chances for success.